Brands have to rethink their approach to content marketing, leveraging their premium branded entertainment to transform their content marketing from a cost center to a revenue center. That’s the opinion of David Beebe, a recognized powerhouse in the world of content marketing. 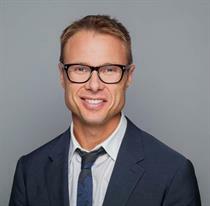 He is the former VP, global creative and content marketing for Marriott International, and now runs his own firms, David Beebe Projects and Content Decoded. "The branded film has to play a bigger role in the marketing mix and be connected to the company’s overall marketing strategy," explains Beebe. With the creation of branded entertainment, companies now have the opportunity to not only tell their story, but also to meet marketing goals, drive sales, and create licensing revenue from that content. Make sure your work gets the recognition it deserves. Deadline for Brand Film Festival 2018 is Monday! But like all great stories, the process begins with first defining the premium content’s purpose. Brand marketers are trained to sell, promote, and market features and benefits," Beebe adds. "However, in the TV world I came from, you think consumer first. You create content based on what the consumer wants, what they are watching and engaging with." Case in point: Marriott’s Two Bellmen, a three-part series shot in three different Marriott locations – Los Angeles, Dubai, and Seoul – used music, movement, comedy, and stars from the world of hip-hop and dance to demonstrate the brand’s unwavering commitment to exceed guests’ expectations. "The reason the series worked is that the brand never interrupted the story," Beebe says. The viewer experiences the features and benefits of the brand through the visual storytelling. Next Gen-ers, a key target audience for the wildly popular series – the first Two Bellmen generated more than 5 million YouTube views – digest an inordinate amount of content, and don’t care where it comes from. "If you create content that is so powerful, entertaining, informative, and engaging, they will appreciate the brand value," Beebe explains. "They appreciate that the brand is trying to engage, and not trying to sell them something. They remember that." "When you’re producing brand entertainment, it’s not about putting the logo in central places or talking about the hotel’s great lobby. You don’t want to interrupt the story," he adds. "The content is driven by stories and characters." But creating great content should be just one leg of the brand’s content marketing strategy. "Now that you have the why, then you have to think about distribution," says Beebe. Too often, brands create great content and then don’t do anything with it. The content doesn’t connect to any other marketing efforts or doesn’t drive sales. "Marketers can create experiences that their audience can buy into through the content, and then license the content," says Beebe. "So many brands stop with the marketing part," he adds. "But if you create this great premium content, how do you take that offline and then create sales opportunities? It doesn’t matter if the film is scripted or not, a documentary or fiction, the idea is to create an opportunity for that viewer to engage further with that brand and experience what they watch, and to create a sales package around that." 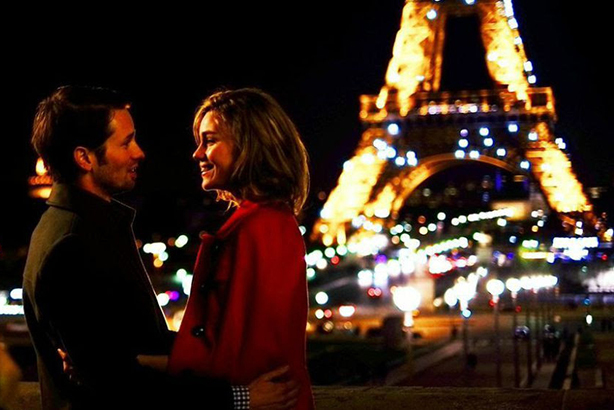 In the Marriott-branded film French Kiss, for example, a business traveler is followed throughout Paris, showing the city in all its romantic glory. "We created a French Kiss sales package, selling the idea that the viewer, too, can experience these great places," Beebe explains. "We offered a special rate, VIP arrival and tour of all the places we shot in Paris, bundled up in a special package rate, which generated $500,000 in two months." Beebe packaged the Marriott films, licensing them to other distribution channels – such as cable TV, airline partners, and Netflix. "Now that you’ve made that investment in the premium content, you need to own that intellectual property and license that content to other distributors. You need to think like a distributor, distributing first to your own channels, then to YouTube, and then going beyond. There are many content distributors that are willing to participate with your brand if your content is driven by story." But, he insists, this isn’t a short-term investment strategy. "You don’t make a film and then recoup your investment in six months; this is a long tail game, a one- to three-year game, with a shelf life for many years," he concludes. This article first appeared on brandfilmfestival.com.